"If each one of us does not amass riches only for oneself, but half for the service of others, in this f__k [pause], in this case the providence of God will become visible through this gesture of solidarity," said Pope Francis as he preached his weekly blessing on Sunday. The Pope accidentally slipped this pretty word into his blessing, but to be completely fair, the verse was in Italian, and not Pope Francis' native Spanish. 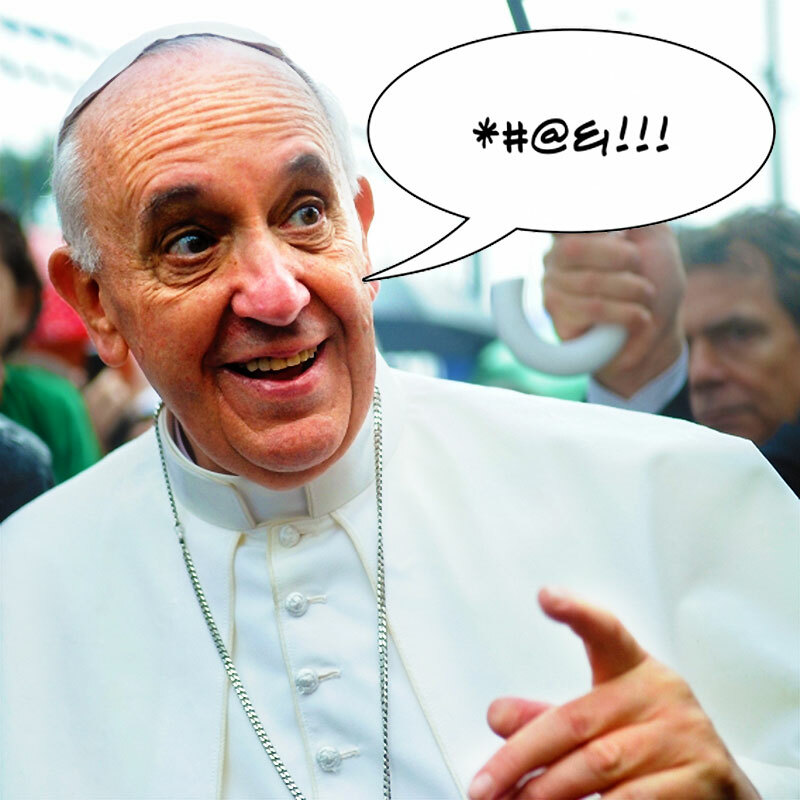 In Italian, the word for "f__k" is cazzo, which is very similar to the Italian word caso which means "case", which is what the new Pope was actually trying to say. Of course, he quickly corrected himself, THANK JESUS! However, the quick mistake did not stop the liberal media from blowing it out into a huge, but hilarious, story! In technical terms, the vulgar Italian word is actually the translation for the English "c_ck" or "d_ck" — but just like many Americans, the Italians use cazzo for the same occasional mishaps that we might use the term "f__k" in. English: "F__k! I just lost my wallet!" Italian Translation: "Cazzo! Ho perso il mio portafoglio!" Liberal blogs have been all over this, as an excuse to poke fun at the pontiff of 1.2 billion believers. Conservative blogs like this one have largely steered clear — but if there has been any Pope happy to be seen as a mere human being with flaws and foibles, it's Pope Francis. In any case, just be careful of what you say, in any country where cuss words sound exactly like normal ones. I'm sure the Pope might have liked to hear this advice beforehand, as well. Oops.